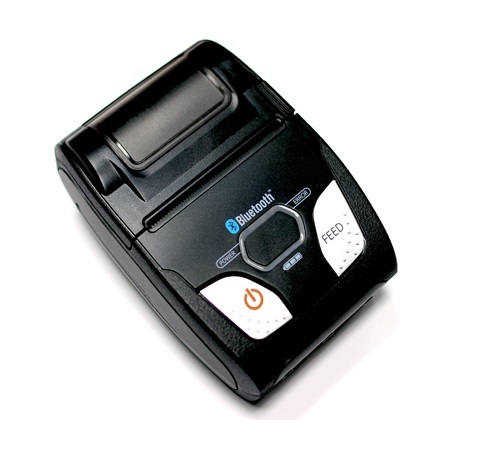 The Star Micronics SM-S230i mobile receipt printer is the most affordable mobile receipt printer for Square. The SM-S230i is a Bluetooth and USB printer that works with all operating systems, including Windows, Android, and iOS. With a compact, lightweight design and 2 inch print width, the portable SM-S230i receipt printer is perfect for mobile point of sale. Also features an auto detection Bluetooth feature. Star Micronics SM-S230i mobile receipt printer is a great handheld receipt printing solution, with a streamlined design. Compatible with Square for iOS. Dimension (WxDxH): 3.15" x 1.73" x 4.49"